Logical Reasoning and Data Interpretation was probably the toughest section in CAT 2017 exam. I think it surprised a lot of students because of the difficulty level of the questions asked. Another reason why I believe it appeared a little too difficult was because the other sections were on the easier side. If you have a look at the scores vs percentile relationship on a section-wise basis, you would find that you need to do 12 questions correctly in the Logical Reasoning and Data Interpretation section when compared with 18-19 questions in Verbal Ability & Reading Comprehension or 14-15 questions in Quantitative Aptitude. Doing three sets in 1 hour does not sound too difficult but I am talking with the benefit of hindsight. Unfortunately, CAT aspirants do not have that in their armoury. But what they do have is 100 days to the CAT exam. First of all, you need to take stock of what your current level of preparation is. Some of you might be just starting your preparation (and trust me – that is not a reason to panic or even be worried. You have more than enough time) whereas some of you might already be done with the concepts and looking for a slightly more advanced approach. I think that, starting from today, you should dedicate at least 150 hours purely to Logical Reasoning & Data Interpretation preparation. LR / DI is an area that is often neglected by students at their own peril. One of the reasons for that is they are not exactly aware as to what they should do to prepare. Another reason, which is surprisingly common, is that they believe they are naturally good at it and will cover it only via the mocks. While the latter reason might be valid for a few students but it definitely not the case for most of them. More often than not, it is the engineering students / fresh engineering graduates / students who are good at Quantitative Aptitude who fall under this trap. Be that as it may, I suggest that you take a close and analytical look at your current level of preparation before deciding what should be done. And here is how you do it. What is the percentage of questions that you attempted? What is the percentage of attempted questions that you got correct? Were you able to quickly decide which set to leave because it was difficult? Were you able to quickly decide which set to attempt because it was doable? There is no such thing as an ideal number for the first question but for the second one, the answer should be close to 100%. Anything below 80% means that there is a problem and you need to address it sooner than later. You will be able to know the answer to questions 3 and 4 once you have gone through the videos / solutions. This process should be spread over a period of three days – one day for CAT 2007, one day for CAT 2008, and another day for making sense of it all. Once you are done with this process, you would have an idea of your current level of preparation and that should decide how you are going to spend the remaining 144 hours towards Logical Reasoning & Data Interpretation preparation for CAT Exam. I would suggest that you dedicate at least 36 hours to building concepts, 72 hours to practicing problem sets, and another 36 hours to utilizing CAT mocks. Assuming that you are putting in 1.5 hours towards Logical Reasoning and Data Interpretation preparation per day, by the second half of September – you should be done with the concepts. In this period, you should write couple of mocks as well to track your progress. Now comes the obvious follow up as to what you should do in these 36 hours (24 days). The answer is simple – if you have subscribed to our online CAT coaching course, just go through all the videos that are given in the concepts section. While you might think that there is no need for concepts like direction sense or number series, but these things help build a foundation that comes in handy at a later date. I know that you know how to read a pie chart but watching a 10 minute video which discusses various types of pie charts is going to be a good use of your time. However, if you are not subscribed to our online course – just use the books / study material that you have. Here is a list of recommended books and material for CAT preparation. While going through the basic concepts might seem a little bit boring and redundant at this stage, I request you to trust me on this and put in the required hours. This is specially more important if you did not do well in Step 1 mentioned above. To be honest, there isn’t a pre-defined syllabus for topics like Logical Reasoning and Data Interpretation. This is true for topics like Reading Comprehension as well. This is probably the most important part of your preparation and it would be the difference between clearing cutoff and scoring well in the LR / DI section in CAT Exam. From mid September till mid November, you should wrap up all the practice material that you have for Logical Reasoning and Data Interpretation. I would strongly recommend that you practice LR and DI in batches of 3 hours. For example, you can dedicate Tuesdays to Logical Reasoning and Thursdays to Data Interpretation. On these days, you can have a 3 hour session in which you do just LR or just DI. This would help you develop mental stamina to deal with such sort of questions over a long period of time. Like your body, your mind needs to be trained as well. It is incredibly hard to concentrate for 3 hours and do something that you do not quite like. If you do not enjoy DI, which is the case with many students, it would be hard to solve questions based on that during the exam. You would be under immense pressure and if you get fatigued easily – you will not be able to do well in the exam. In the 9 week period between mid September to mid November, you dedicate Tuesdays and Thursdays to Logical Reasoning and Data Interpretation practice and give 3 hours on those specific days. You are still left with 18 hours in the ‘Practice Problem Sets’ part of your preparation. These 18 hours should be on the weekend when you are studying other topics as well. 9 Saturdays and 9 Sundays with 1 hour each would make these 18 hours. These 18 hours should go towards the part that you are not confident in. If you believe that you are really poor in DI but really strong in LR, you should dedicate these 18 hours to DI. If you are not able to decide, then it would be wise to split them equally. I cannot emphasise enough the importance of previous year papers. They cover a wide range of ideas and concepts. It would also give you a good idea of the difficulty level of questions that get asked in CAT. The reason that I have said not to use previous year mock tests from TIME is that I think they are a little bit harder than what is required for CAT preparation. While there are some who believe that practicing hard stuff would make them do the average stuff easily, I do not subscribe to that ideology. I think, for most students, it is better to practice with slightly easier level problems because in CAT you do not need to do all the questions. For example, in CAT 2017 – if you had done even 3 sets out of 8, it would have been enough to clear the sectional cutoff for even the IIMs. For CAT aspirants who are targeting the IIMs / greater than 95%ile in the LR / DI section – this is the most important part. I understand that everyone reading this post is probably targeting the IIMs / greater than 95%ile but I am pretty sure that a lot of you are not being truthful to yourself. I do not want to discourage any student but I believe my bigger responsibility is to suggest what is good for you rather than say what you want to hear. Be realistic in your target. Be realistic in your preparation. It is much better to target a 90%-95%ile and achieve it than to target a 99%ile and end up in the mid 80s. If Quora, Facebook, Pagalguy are to go by – every CAT aspirant is looking at pubs close to Jhoka and non-veg outlets close to Vastrapur. If you are in that category – there is still time to mend your ways. Now that the discouraging part is out of the way – let me suggest what you can and should do with the mocks. I think every student should write at least 10 mocks before the actual CAT exam. I also think that anything beyond 20 mocks is probably a waste of time. You might have read “expert” advice from 99%ilers that all they did was mocks, mocks, and mocks. I am not saying that they are lying. I am not saying that they are giving wrong advice. All I am saying is that this advice is helpful to only 1% of the aspirants and not to everyone. If you are in that 1%, you should not be reading this. You should have it all figured out by now. But if you are not in that 1% – you should stick to 10-15 mocks. It is much more important to use the mocks wisely than just attempting a large number of mocks. As far as the LR / DI section is concerned, every mock will typically have 32 questions (this is based upon the CAT 2016-17 pattern which will most probably be repeated in 2018). It is virtually impossible to do all those questions in the allocated 1 hour. Once you are done with the mock, you should attempt all the questions without the pressure of time. All mocks come with detail solutions. You should go through the solutions of all the questions – not just the one you did not attempt / got wrong. Once you have done that, repeat the exercise given in Step 1 of this post. Track your performance based upon the 4 questions mentioned in Step 1. Once again – the important part is not the numbers you achieve but if you are improving those numbers. Allocating anywhere between 2 to 3 hour per mock is probably the best use of your time which will propel your performance to the next level. In the last 3 weeks, probably this is the only thing that you should do. To be honest, revising a few mocks might be a better idea than writing new mocks. Another thing that I would like to suggest is that if you have taken mock test series from multiple coaching institutes – ensure that you take all mock tests of at least one of them. Even if you are not able to take all mocks of a particular coaching institute, at least go through all of them. Almost all coaching institutes plan the mocks in such a way that all important areas are covered. If you end up doing 7 mocks from one coaching institute and 8 from another, you might miss out on some key ideas – it might not be a good thing. With this, I would like to wrap up this slightly long post. I hope you liked it and it will help you improve your score in the Logical Reasoning & Data Interpretation section of CAT Exam. I request you to share this with your friends via Facebook / Whatsapp. Sir, thank you for this post. I will do my best to try and follow your suggestions. It would be very helpful if you could analyze QA too. Will put it up in the coming week. Sir , thank u for ur advice… I will try to follow this. Can you please share about how to prepare for the other two sections as well ie the QA and Verbal ability n reading comprehension prts..
Hello Sir, can you please post something regarding SNAP 2016 preparation plan, taking in mind that the mark distribution and number of questions has changed this year. Sir please post QA strategy. Will discuss the quant details in that. I will be able to complete my concepts and coaching problem sets by the end of October. How should I proceed after that? Will 1month be enough for practice?I am from non-eng background. 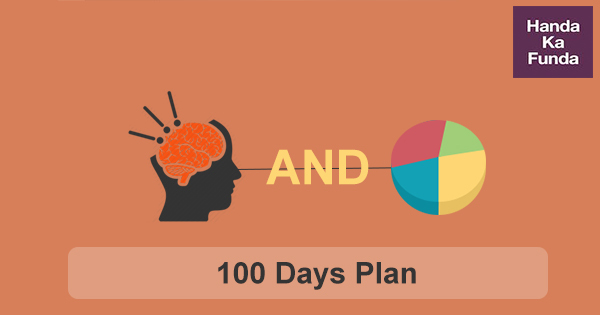 what about 100 days preparation tips for quants as well. i am very nervous about quants…rest i can manage but i dont know how to do well in quants..i have studied quants till 10th and i am not able to do well..sometime i am not able to do a basic 8th grade question….pls suggest how to prepare qell in quants in these 100 days.. Please guide for Quant. too. Done. It is available here: How to Prepare for CAT Quantitative Aptitude.